A picture is worth a thousand words and I’d like to share more of the pictures from SPO events, so I am going to start Photo Friday on Heartfelt Musings. Each week, I’ll post a picture and tell you about something that is going on with SPO or my life in New Jersey. Come back each week to see something new! 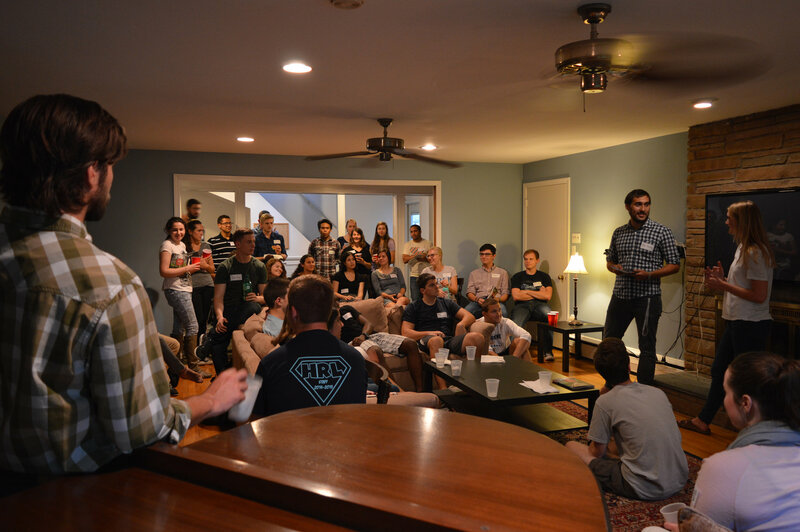 Back in September, we had a small group kick-off night so that students could get their books, meet their small group leaders, and learn a little bit about the reason that we have small groups. These small groups are groups of 5-7 students that meet weekly to discuss a section of the book Starting Point by Andy Stanley. This weekly meeting is a time for students to talk about life and faith in an environment that fosters good conversation, invites thought-provoking questions, and builds relationships of trust.